Smart and useful products are always highly sought after by consumers. The iPod nano, Garmin smart watch and nest learning thermostat are some of my favourites. This custom water bottle has a built in wireless speaker making it a very unique yet stylish product. Brand it with your logo and give to your best clients. 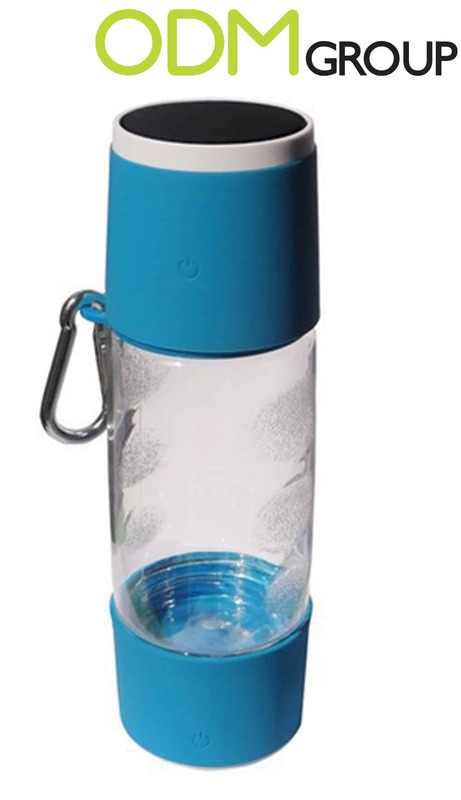 Why use custom water bottles as a promotional product? The wireless speaker, which acts as a lid, is waterproof and can be connected to via Bluetooth. It has a built-in 750 Mah battery which allows the device to be played continuously for up to 8 hours and auto connects to the mobile device with each power up. The bottle holds 450ml of liquid and can be customized through various printing designs and patterns on the FDA approved plastic materials. Other add-ons such as a power bank, increased battery capacity and bottle holder can be packaged as an upgrade for the item. The water bottle can be further customized by adding silicon to the body so that it has an easier grip. This multifunctional product can be used for multiple events. Sports brand company can sell the bottle as part of their merchandise or give it away during promotional campaigns. This will increase brand visibility and increase the brand’s presence. For example, a company can give away the water bottle at a sponsored marathon or cycling event. Your company may use these custom water bottle to match the event theme, coherent with the company’s brand identity. 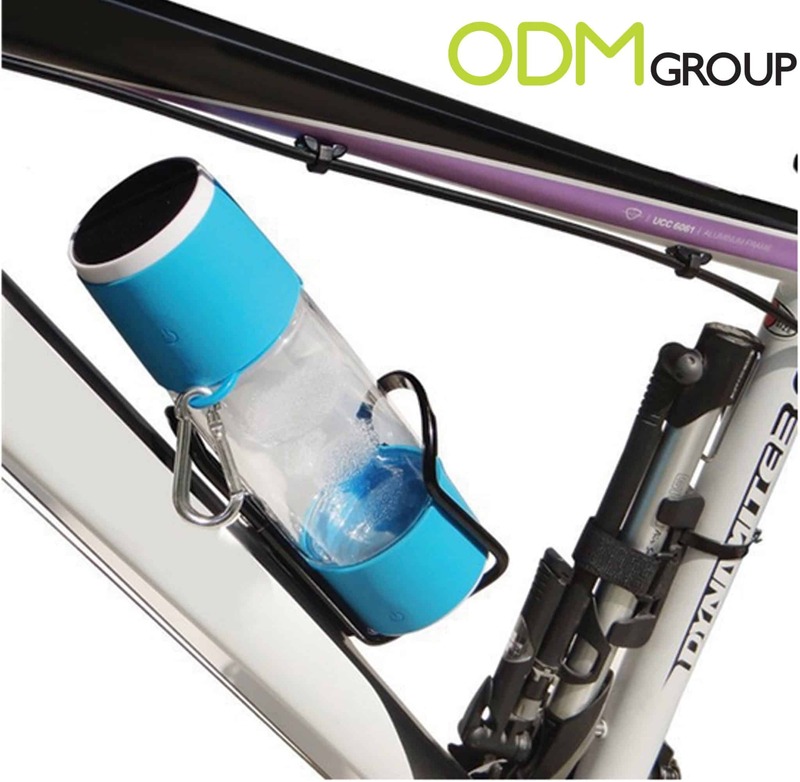 Cyclists can mount the bottle to the water cage on their bikes and marathoners can hold it or latch it to their water holder belt. If you’re interested in any promotional product feel free to contact us here. Our design team, MindSparkz, can help you with any product innovation you may have.